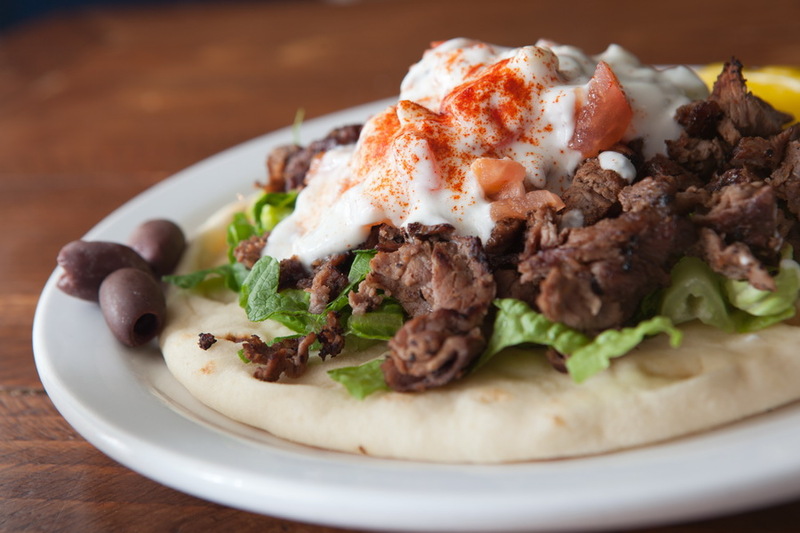 Greek gyros is made with meat roasted on a vertical spit, typically served as sandwich in a pita bread with tomato, onion and tzatziki sauce. 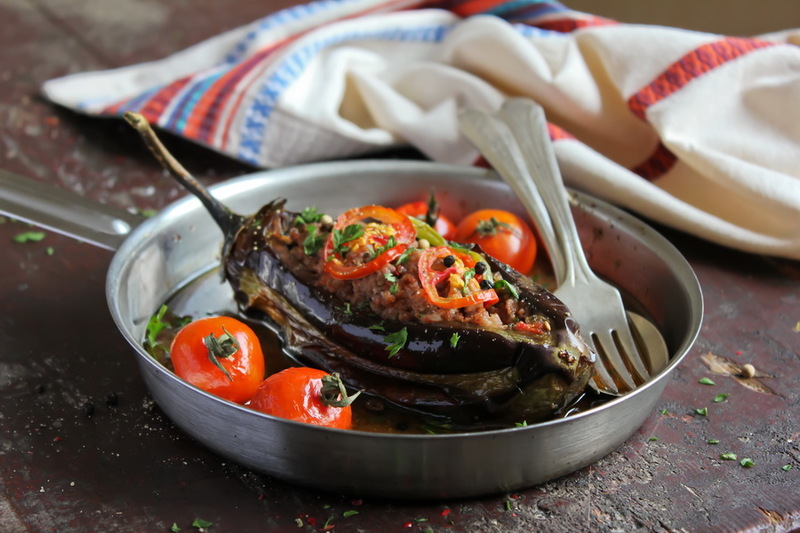 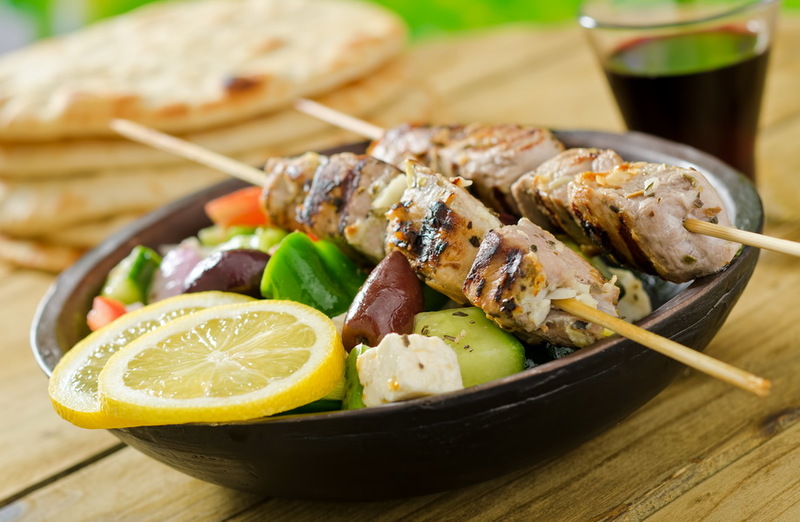 Greek souvlaki is the Greek version of kebab – small pieces of meat grilled on a skewer. 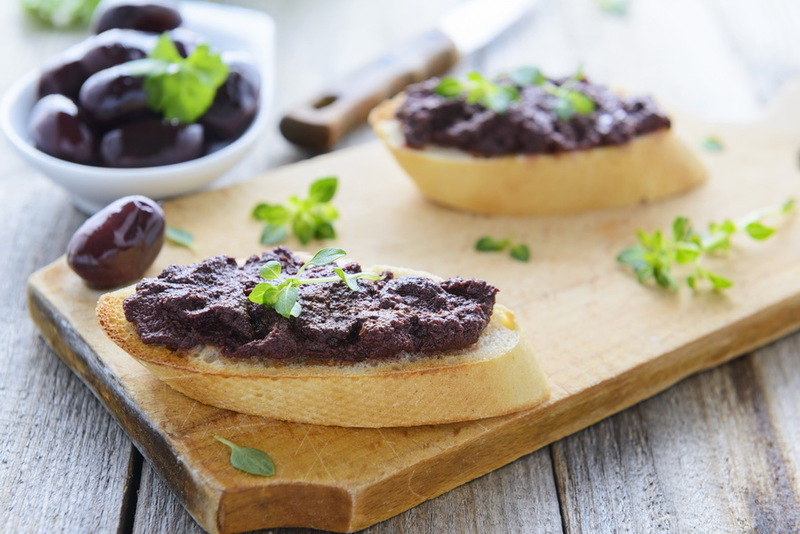 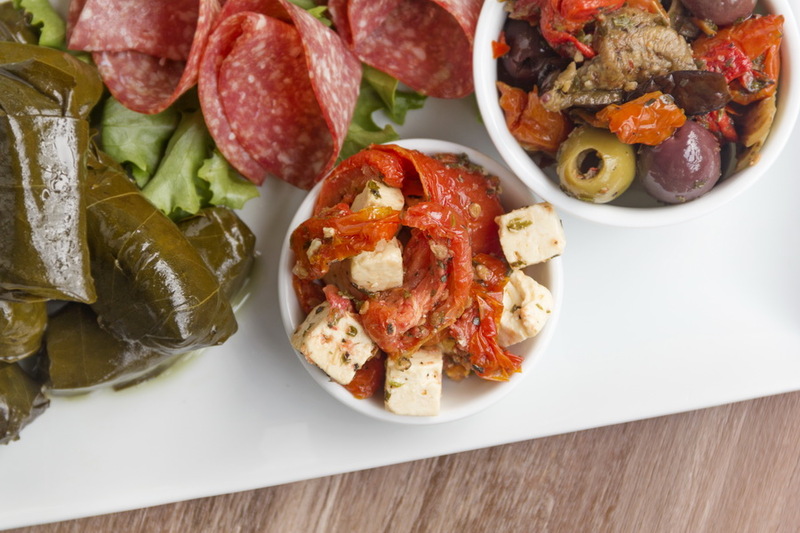 Greek feta cheese and sun-dried tomatoes make a great appetizer.